Simply drag & drop pre-made building blocks to set your desired elements into place. Edit product description, characteristics and images directly from the front end. Highlight your best products on your storefront. Make changes to the color or size with Odoo eCommerce. Customize the color, layout and font of your theme easily and start selling your products online in a jiffy with a beautiful storefront designed with mobile in your mind. 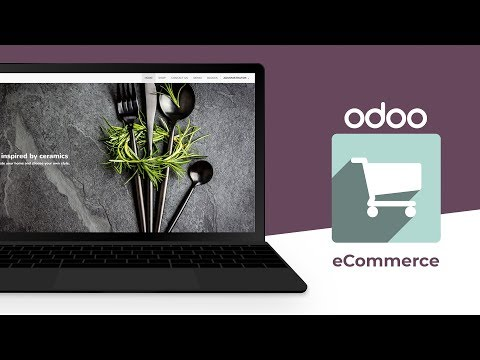 With just a few clicks, you can set up your online store in Odoo with Odoo eCommerce. It includes everything you need to set up your online store and built the ultimate shopping experience. With Odoo eCommerce, you can use your backend account to login to the admin area. From there you can build your eCommerce website, manage and set up the payment terms, setup product promotions and much more with Odoo eCommerce. Add your products, upload their photos, set stock levels and more to build out your ecommerce website’s inventory with Odoo eCommerce. No need to worry about resizing or optimization on product photos as Odoo eCommerce will do that for you. You can add your products one on your Odoo eCommerce instance at a time or bulk-import all products from an Excel CSV file, eBay or Magento or Amazon. Odoo eCommerce gives the customers to pay for the items in the shopping cart using payment methods like Wire Transfer or directly famous payment gateways like PayPal, Ayden, Buckaroo, Ogone or Authorised.net. With Odoo eCommerce, if you want to get your online store setup in minutes, use PayPal to accept credit card payments. When you hit a high payment volume, you can easily upgrade to another payment gateway like Authorize.net or Ogone. Now you can keep a track of the status on all shop orders. Analyze your order history with Odoo eCommerce’s amazing sales analysis BI tools to build better customer relations, while targeting your marketing campaign. You can host your entire eStore on Odoo eCommerce. Your online store comes with a full-featured CMS. You can easily create and update your text content through an editor designed to replicate the word processor experience. A fast user interface designed for sales. 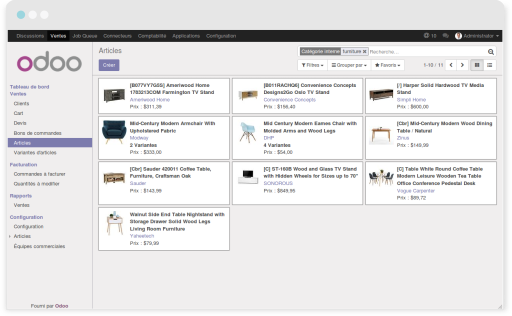 Odoo eCommerce’s UI is intuitive enough to guide the user through the buying journey. Besides, you can get all the information you need about a product right where the user needs it when buying that particular product. Based on your location, Odoo eCommerce will automatically handle major country and state tax rates with fiscal positions configured at backend. This feature helps save major complications when it comes to calculating and setting taxes manually. Provide your visitors with information in real time directly on your website, and secure your sales with Odoo eCommerce. Help potential customers find your Odoo eCommerce store using search engines. Odoo supports SEO best practices like customizable H1, title, and meta tags. Odoo eCommerce includes built-in blogging app. A blog is a great sales and marketing tool. With regular blogging in your Odoo eCommerce store, you will be more closer with your shoppers and they will be updated by your latest offers, products & news. Define product categories, use attribute search, focus on promotions, coupons or gift certificates and push best products to the top of your page in order to multiply your sales with Odoo eCommerce. With Odoo eCommerce, you can highlight the best product in terms of quantity sold or say find the best customer in terms of revenue. Display a graph with your monthly sales per product and add it to your Dashboard. You can group your sales by partner and display the products in the column header. With Odoo eCommerce’s amazing and advanced data visualization & discovery reports for your online Sales, you can wow your executive team with visual representations of your Online Sales results. With Odoo eCommerce’s intuitive customer portal feature, your shoppers can track of which orders have been paid for, shipped or delivered. Odoo eCommerce helps you provide your shoppers with a complete 24/7 access to up-to-date information through a dedicated customer portal where they can track their orders, download their invoice or delivery order and manage their return and claims. With Odoo eCommerce, now you can sell more with upselling, cross selling and product variants with multiple attributes. Show visitors similar but more expensive products as alternatives from your catalogue. Offer them extra products related to what the shopper puts in his cart. Allow your shoppers to select their product with different color, weight, size and more! Odoo eCommerce has an out-and-out suite of business applications comprising all that an ecommerce business needs from right from start-ups to enterprise. Odoo eCommerce offers an extensive system designed to systemize and support your entire master database. Online businesses are updating themselves continuously in order to stay relevant and compete with newer business models in the market. 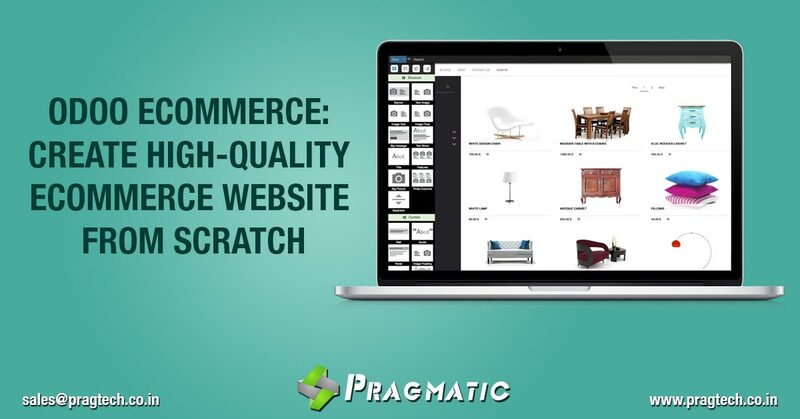 Today, the E-commerce business owners want to build not just a website, but a large online shop. They want efficient modules that can be integrated with customer management and ERP systems. This is where Odoo eCommerce comes into the picture. Many businesses are using Odoo to improve their E-commerce websites. In this section, we will discuss the benefits of Odoo for E-commerce business. Before discussing the benefits, let’s just have a quick overview of Odoo. Every eCommerce business desires simple product management feature in their E-commerce store. They want addition / edition / deletion of new/outdated products to be easy since they need to do this frequently. Odoo eCommerce allows business owners to create banners, add images, create product pages and slides etc. 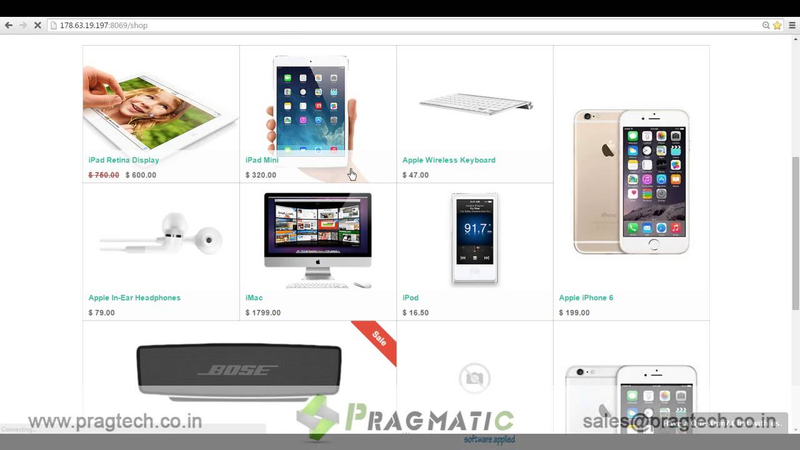 It provides an effortless editing and designing feature to E-commerce stores. It merges and integrates the information throughout the system. Customizability is one of the top benefits of Odoo eCommerce. It can be modified according to the individual needs of a business. It can be customized according to your specific request that goes beyond the Odoo’s app store. This feature of Odoo is extremely valuable for your online store. When you customize the software to fit your needs and requirements then you don’t need to change your business practices. As compared to other ecommerce software, Odoo eCommerce has a low cost of implementation. The reason behind this is the free licensing of Odoo. The community version of Odoo has no licensing fees. It does not require payment of any licensing fees. The only part the needs investment is the customization and implementation. Odoo has many modules that can be easily integrated and customized effortlessly in your eCommerce website. This helps in simplifying your ecommerce business process. It provides you with multiple modules where you can manage sales, customer, warehouse management, accounting, human resource management, purchase etc. Odoo eCommerce allows you to implement other modules such as point of sale of your E-commerce store. With the help of Odoo you can easily scale the abilities of your Odoo eCommerce store. This feature of Odoo provides you long lasting business. If you are scaling up your employees, you can add more users to your account. If you want to add more functions to your business you can add new modules. This is how scaling takes place with Odoo eCommerce. The combination of Odoo with E-commerce would make your ecommerce business more profitable as it analyzes correct sales and inventory level. With the help of Odoo, you can smoothly maintain sales and inventory via reporting and automatic stock adjustments. Odoo eCommerce keeps the customer data in an organized manner with order tracking and claims. It allows customers to download invoices and delivery orders and to view their pending shipments. It also allows the store owners to put add-on connectors in order to manage shipping services. Other ERP software allows you only either premise hosting or cloud hosting. Odoo, on the other hand, gives you both the options and you can choose the best option for your E-commerce store. It also allows you to choose from various versions of Odoo such as community version, enterprise version, on-line version, varied Odoo versions, with the latest being Odoo 12. The community version of Odoo is useful for small scale businesses. The enterprise version of Odoo has all the features and it is affordable also and can be used effectively by all businesses i.e. small, middle and large scale eCommerce businesses. Odoo eCommerce provides you faster ROI on your E-commerce business. You can use SaaS-based or cloud-based Odoo services to lessen your cost. You can use Odoo even when you are traveling because of its cloud-based solution. You can access the E-commerce store from anywhere at any time. All you have to do is log in with your id and password and manage your E-commerce website. Odoo is beneficial for you as it facilitates the effective management of your online store. It will provide you 24×7 access to your Ecommerce store so that you can manage it in a better way and generate greater revenue for your business. It has distinct features and versions that are profitable for your business. So if you want to have an edge over your competitors in the ecommerce business realm, then Odoo can be your best friend in this endeavor. Cloud vs On-Premise: How Should you Deploy your Odoo ERP Odoo Customization Vs Out of the Box: Which One Should you Prefer?